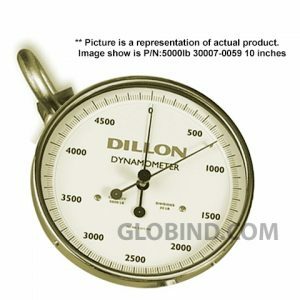 Dynamometer, or “dyno” for short, is a device for measuring force, moment of force or power. For example, the power produced by an engine, motor or other rotating prime mover can be calculated by simultaneously measuring torque rotational speed (rpm). 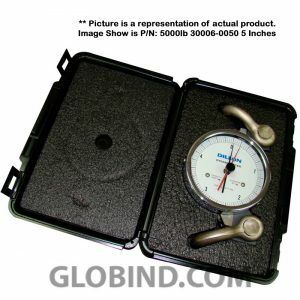 A Dynamometer consists of an absorption (or absorber/driver) unit, means for measuring torque and rotational speed. An absorption unit consists of some type of rotor in a housing. This rotor is coupled to engine or other equipment under test, free to rotate at whatever speed is required for test. Some means is provided between this rotor and housing of dynamometer. 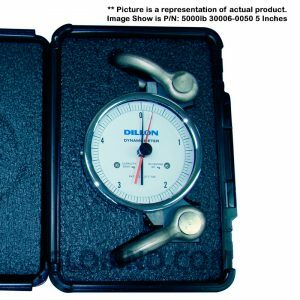 This means for dynamometer developing can be frictional, hydraulic, electromagnetic, or otherwise, according to type of absorption/driver unit. 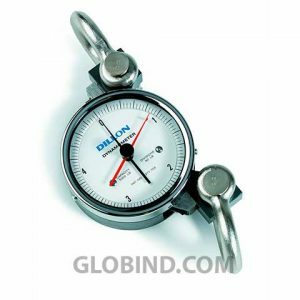 One means measuring is to mount Dynamometer housing so that its free for turn except as restrained by torque arm. The housing can be made free to rotate by using trunnions connected each end of the housing to support it in pedestal-mounted trunnion bearings. 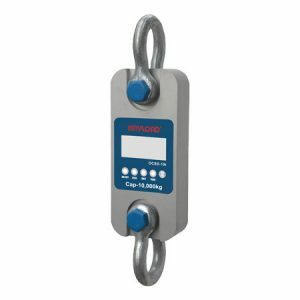 The torque arm is connected to dynamometer housing and weighing scale is positioned so that it measures the force exerted by dynamometer housing in attempting to rotate. 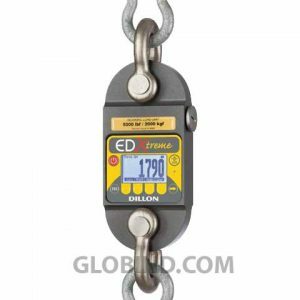 The torque is force indicated by scales multiplied by the length of the torque arm measured from center of the dynamometer. 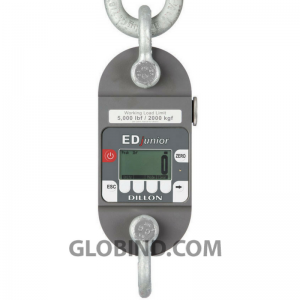 A load cell transducer can be substituted for the scales in order to provide an electrical signal that is proportional to torque. 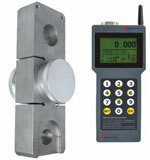 Another means to measure torque is connect engine to dynamometer through a torque sensing coupling or torque transducer. A torque transducer provides an electrical signal that is proportional to the torque.With electrical absorption units, its possible determine torque by measuring the current drawn (or generated) by absorber/driver. This is generally less accurate method and not much practiced in modern times, but it may be adequate for some purposes. When torque and speed signals are available, test data can be transmitted a data acquisition system rather than being recorded manually. Speed and torque signals can also be recorded by a chart recorder orplotter. 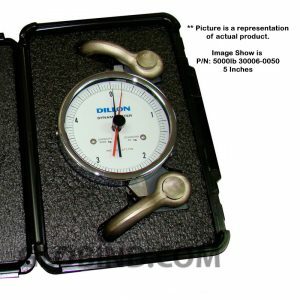 Dynamometer can also be used to determine the torque and power required operate a driven machine such as a pump. 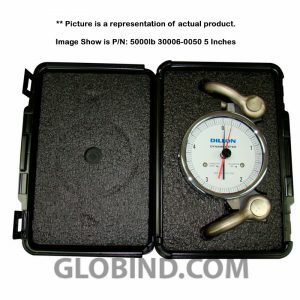 In that case, a motoring or driving dynamometer is used. 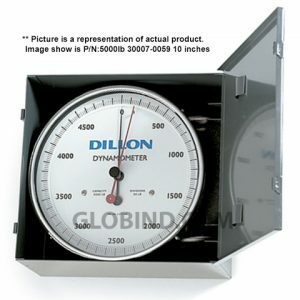 A dynamometer that is designed to be driven is called an absorption passive dynamometer. 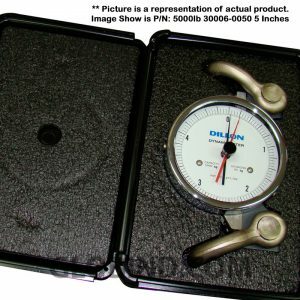 A dynamometer that can either drive or absorb is called a universal or active dynamometer. In addition to being used to determine the torque or power characteristics of a machine under test (MUT), dynamometers are employed in number of other roles. In standard emissions testing cycles such as those defined by US Environmental Protection Agency (US EPA), dynamometer are used to provide simulated road loading of either engine (using an engine dynamometer) or full powertrain (using a chassis dynamometer). In fact, beyond simple power and torque measurements, dynamometers can be used as part of a testbed for variety of engine development activities such as calibration of engine management controllers, detailed investigations into combustion behavior. 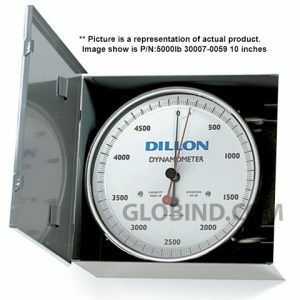 Dynamometer Dillon AP 30007-0059 5000 lb 10 inches. 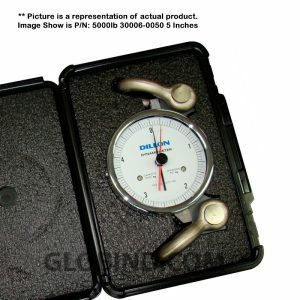 The AP dynamometers are perfect to weigh force in Pounds-force and kilograms-force. 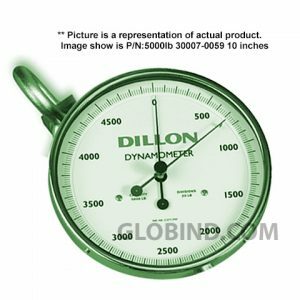 The Dynamometer Dillon AP 30007-0034 2000 lb 10 inches are the AP dynamometers are perfect to weigh force in Pounds-force and kilograms-force. 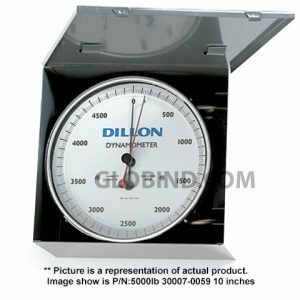 The Dynamometer Dillon AP 30007-0083 10000 lb 10 inches are perfect to weigh force in Pounds-force and kilograms-force. Hermetically sealed! 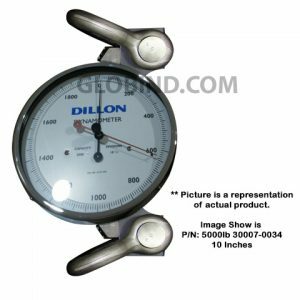 Dynamometer Dillon AP 30007-0109 20000 lb 10 inches dial, hermtically sealed, it’s designed with aluminium anti-corrosive. 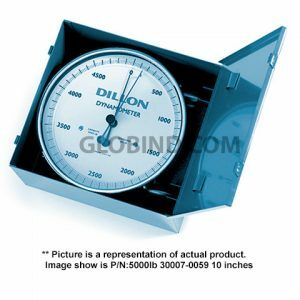 Dynamometer Dillon AP 30007-0117 10000 Kg 10 inches dial, mechanical instruments hermetically sealed for to weigh force in Pounds-force and kilograms-force. 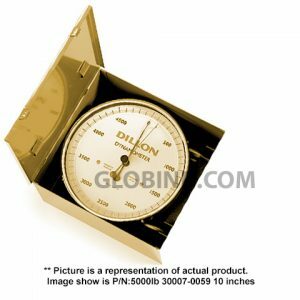 Dynamometer Dillon AP 30007-0125 2000 Kg 10 inches, are perfect to weigh force in Pounds-force and kilograms-force. Hermetically sealed. 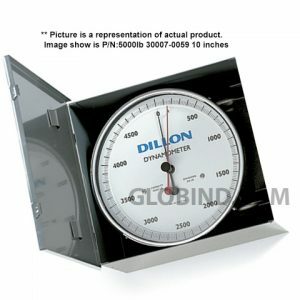 Dynamometer Dillon AP 30007-0174 5000 Kg 10 inches dial, are perfect to weigh force in Pounds-force and kilograms-force. Dillon AP its hermetically sealed. 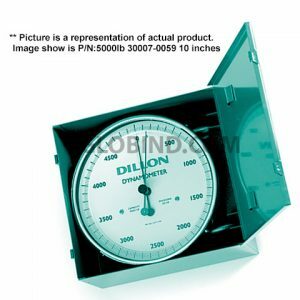 Dynamometer Dillon AP 30784-0017 30000 lb in capacity and 10 inches dial, ideal for force-tension applications and weighing mass. 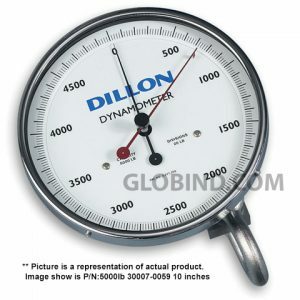 The Dynamometer Dillon EDjr-2T AWT05-506318 5000 lbf gets straight to the point. Well-built instrument relied simple measurements of weight and force. 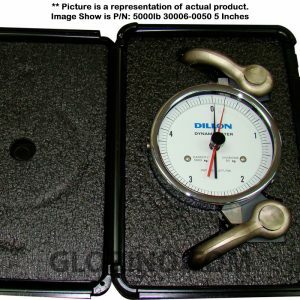 The Dynamometer Dillon EDjr-5T AWT05-506319 10000 lbf gets straight to the point. Well-built instrument relied simple measurements of weight and force. 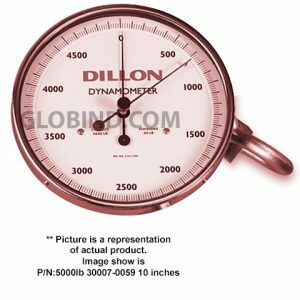 The Dynamometer Dillon EDXtreme AWT05-506312 1T-250 lb are perfect to measure force in Pounds-force, kilograms-force and Newtons. 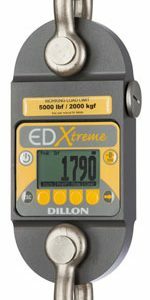 The Dynamometer Dillon EDXtreme AWT05-506313 2T-5000 lb are perfect to measure force in Pounds-force, kilograms-force and Newtons. 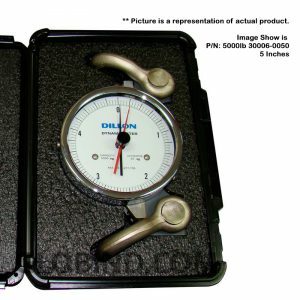 The Dynamometer Dillon EDXtreme AWT05-506314 5T-5000 k are perfect to measure force in Pounds-force, kilograms-force. 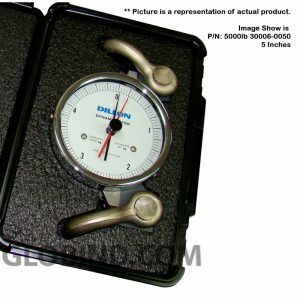 The Dynamometer Dillon EDXtreme AWT05-506315 10T-10000 k are perfect to measure force in Pounds-force, kilograms-force. 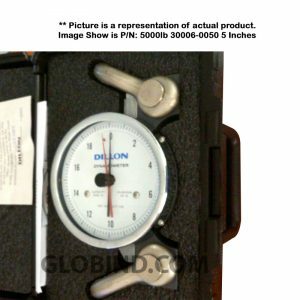 The Dynamometer Dillon EDXtreme AWT05-506316 25T-25000 k are perfect to measure force in Pounds-force, kilograms-force.